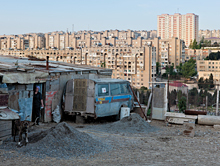 Baku, the capital of Azerbaijan and formerly part of the Russian Empire and Soviet Union, is the original oil city, with oil and urbanism thoroughly intertwined—economically, politically, and physical—in the city’s fabric. 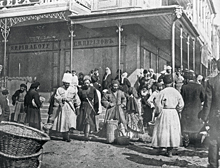 Baku saw its first oil boom in the late nineteenth century, driven by the Russian branch of the Nobel family modernizing the oil fields around Baku as local oil barons poured their new wealth into building a cosmopolitan city center. 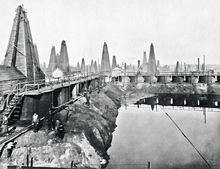 During the Soviet period, Baku became the site of an urban experiment: the shaping of an oil city of socialist man. 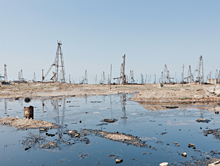 That project included Neft Dashlari, a city built on trestles in the Caspian Sea and designed to house thousands of workers, schools, shops, gardens, clinics, and cinemas as well as 2,000 oil rigs, pipelines, and collecting stations. 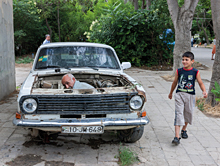 Today, as it heads into an uncertain post-oil future, Baku’s planners and business elites regard the legacy of its past as a resource that sustains new aspirations and identities. 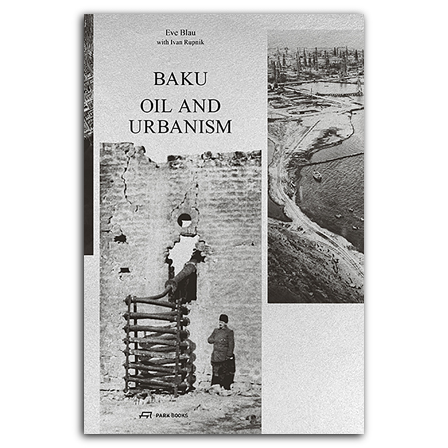 Richly illustrated with historical images and archival material, this book tells the story of the city, paying particular attention to how the disparate spatial logics, knowledge bases, and practices of oil production and urban production intersected, affected, and transformed one another creating an urban cultural environment unique among extraction sites. The book also features a new photo essay by celebrated photographer Iwan Baan. is a professor at Harvard Graduate School of Design. She has previously been Curator of Exhibitions and Publications at the Canadian Centre of Architecture CCA in Montreal. teaches as an associate professor at the Northeastern University’s College of Arts, Media and Design in Boston. There are more press images available upon request, please do send me the complete set.